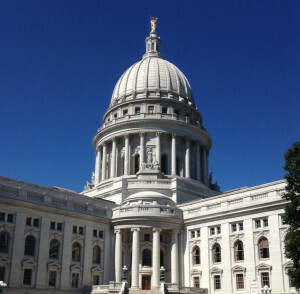 A panel of federal judges has ruled Wisconsin’s 2011 legislative redistricting resulted in maps that are unconstitutional. In a 2-1 decision, a federal court in Madison determined that the Republican-drawn maps created gerrymandered districts that favor the GOP by diluting the voting strength of Democrats. The maps are redrawn every 10 years, based on census results. Voters who challenged the maps last year argued they create what’s known as an “efficiency gap” – a situation in which the weight carried by Democratic votes statewide is reduced by splitting them up in districts that are drawn to favor Republicans. The result is that Democrats win a handful of races with large margins, while Republicans are able to win more seats with smaller margins. Democrats have pointed to the results of the 2012 and 2014 elections as evidence of this effect being carried out. In those elections, Republicans claimed only about half the votes in the state, but won 60 of the 99 Assembly seats in 2012 and 63 of 99 in 2014. The court did not order an immediate remedy. Instead, both sides will have 30 days to file their recommendations for addressing the decision. Earle said his team is already working on those proposals, but it’s too soon to comment on what the plan they submit to the court will look like.